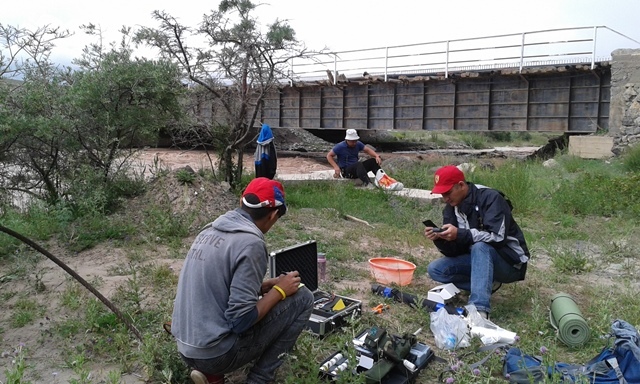 This summer I and my group mates had the great opportunity to take participation in the research expedition under the USAID project in Chon-Alay. It was an incredible experience. We were learning how to use different types of equipment, doing measurements of water, and analyzing the results. 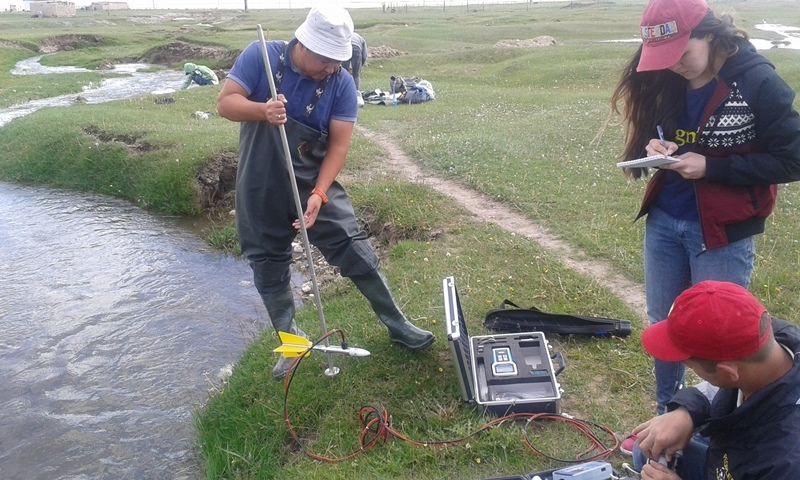 Our professors explained how to do measurements properly, and how to analyze the quality of water through bioindicators. We were also visiting the circle shaped meteorological stations and moreover set our own ones. We got a lot of fun. The beautiful nature of South Kyrgyzstan with breathtaking views of mountains impressed me so much. I could see the legendary peak of Lenin with my own eyes! The air was so fresh compared to the polluted one in Bishkek. We were walking a lot, having organic food, so I think my health is thankful now. This field trip included not only the field work but also the excursion to the Sulaiman-Too in Osh, which is actually the part of the UNESCO World Heritage List. It was very interesting to climb this mountain and got into the caves. So unbelievable view! Thanks to this field trip, we got priceless knowledge, which we can use in our job in the future.